1) The heat kills me. A direct result of carrying a few extra pounds and some sub-par fitness means a warm day and beating sun knocks the stuffing out of this cuddly bear. I need a hat to keep the sun out of my eyes which is light in colour as to not create an oven on my head. 2) I sweat a lot. Not nice to admit but the concept of running without a hat is nice with wind blowing in my hair but I am soon blinded by sweat pouring in my eyes. 3) I have a bigger head. 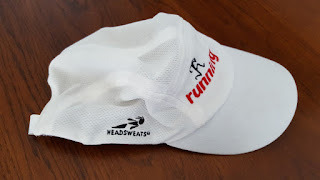 I am not quite into the category of a ‘planet cranium’ like a certain Running Free athlete I pal around with but still big enough that a number of hats I tried on just didn’t fit or make my head look like I have a shower cap with a brim on. 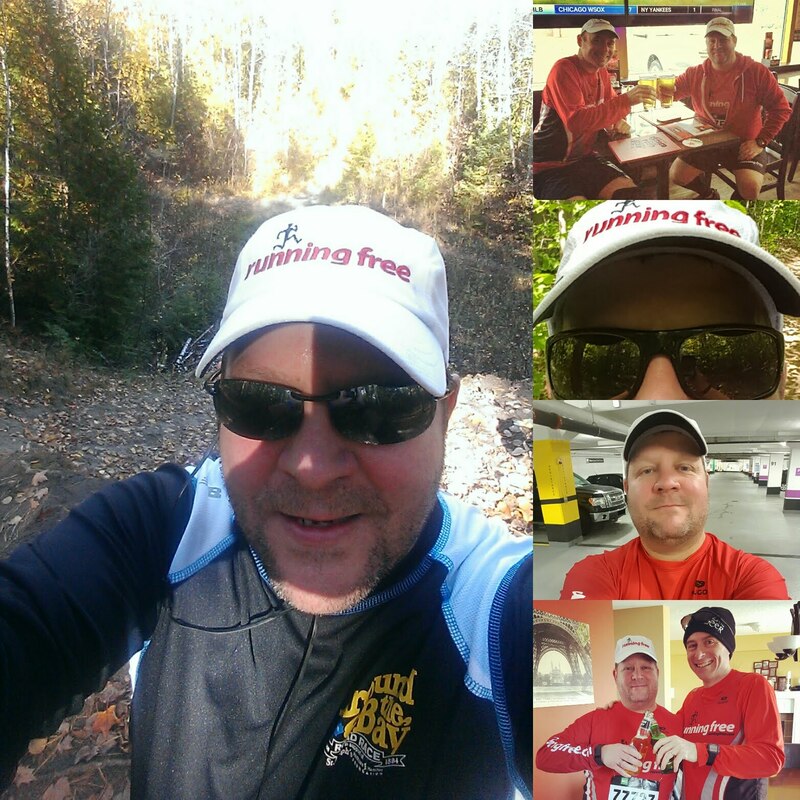 As a Team Running Free member I was given a Running Free Hat. 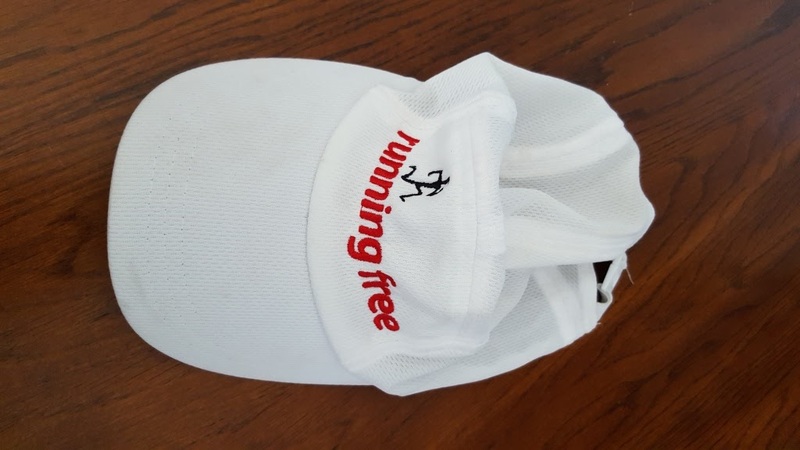 So I admit I didn’t pay for this hat but I assure you I would pay for it without hesitation which I almost did when my first hat went missing in a runner’s laundry mishap. 1) It’s white. White is not the best colour for something you wear with the express purpose of sweating into relentlessly but it is the best colour to keep the hot sun at bay. 2) It fits. I will admit that I have the adjustment strap right to the end but the fact I can wear it at all is great. 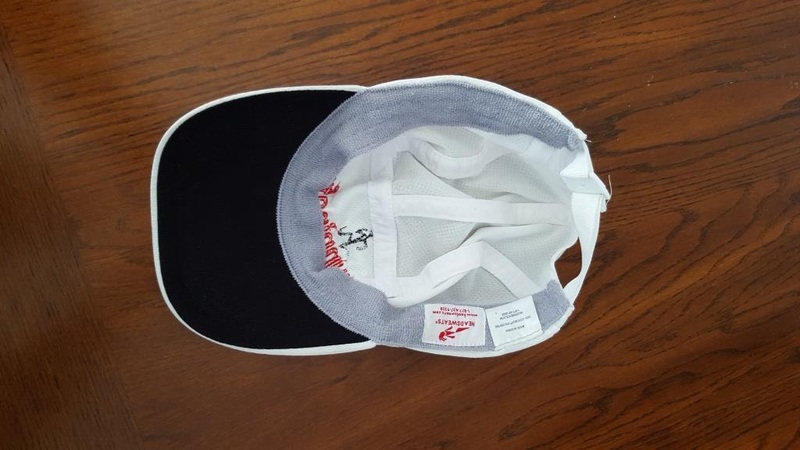 Also, the design of the hat is such that it looks more like a ball cap vs. a burglar stocking with brim. 3) The Eventure Terry sweatband is incredible. 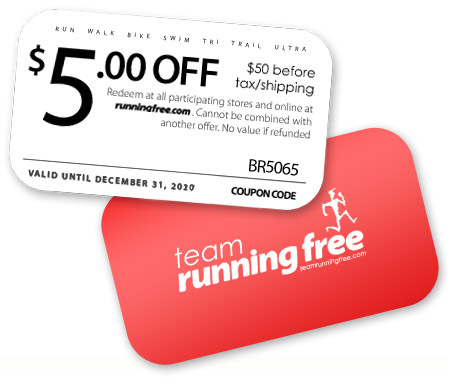 As purposely designed, the head band takes an enormous amount of moisture. Also the Eventure Knit material of the hat is very absorbent as well. In extremely hot situations the entire hat acts like a sponge to help pull the moisture away from my head to evaporate. Also, I have found it excellent for pouring a cold cup of water on when fighting the heat on a hot race day. ‘One cup in your mouth and one on your head’ has gotten me through a few hot races. Well that’s it. If you are looking for a great running hat the fits well, has high tech moisture management features and looks great, I would wander to your local Running Free store or go to www.RunningFree.com and pick one of these up. Or get 2 in case you lose one like I thought I did.